Hey everyone! Hope you're all having a lovely week so far. I really need to come up with new introductory sentences as I feel like I am always saying the exact same thing. Oops! Anyway, before I ramble too much today I thought that I would tell you about one of my favourite masks that I have been using for the past couple of months and it is the Liz Earle Nourishing Treatment Mask. I'm sure those of you who have been following my blog for a while now know that I have always struggled with finding a decent face mask however I think I have just found my perfect match. Keep reading to find out why! Liz Earle has been a staple in my skin care routine for the past 2 years. I am absolutely obsessed with the cleanse and polish but I never really delved into other products in the range. However I spotted this little starter kit in Boots and immediately purchased it. The first thing I love about this product is the fact that it comes in a little bag which makes it look that little bit more indulgent and neat. 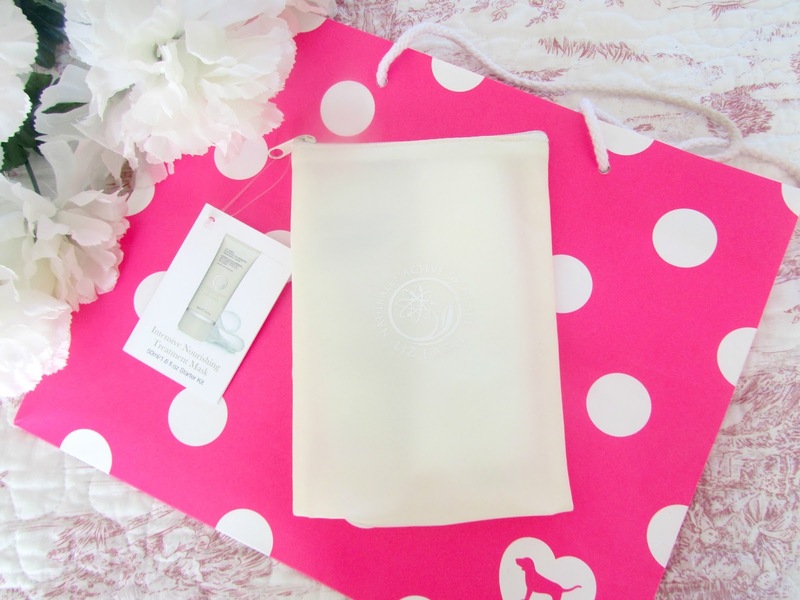 Inside the little bag is a 50ml tube of the Liz Earle Intensive Nourishing Mask and a muslin cloth which I absolutely love. I already have a few in my drawer but you can never have too many! It just looks really nice and tidy stored away in my bathroom cabinet. I also love the colour of this packaging. The rest of my Liz Earle products are a greyish green sort of shade but this is a very pale yellow which I love because then it's so simple for me to see what product is which and really sticks out. I know that you really shouldn't spent a lot of money on products based on their packaging but I'd be lying if I said that wasn't at least one of the things that drew me to this product. I just love it! The one thing I don't like about the packaging is the way in which is produced. I'd rather it come with a little pump as I find it quite hard to squeeze out at times. The first time I used this I could not get any product out so I squeezed to hard which meant it ended up going all over the bathroom mirror. Oops! But that's probably just my clumsiness! The main product itself is absolutely amazing. The texture of the mask is basically like a cream which I absolutely love as when you apply it to the skin it's basically like applying a really think moisturiser. It's definitely one of the less messy masks I've ever used as most of my masks are clay and it gets all over my hands and everywhere else and isn't that neat, this however it just amazing. The mask includes ingredients such as borage, apricot kernel oil, comfrey, shea butter and rose scented geranium essential oils. All these ingredients are designed to sooth the skin and retain in the moisture whiles rehydrating, toning and balancing the skin out. Once I apply this mask I leave it on for around 15 minutes before rinsing it off with the muslin cloth and I find my skin is just so super soft and there's an immediate visible result. I love that this mask doesn't have that scary face mask look when you apply it. It looks just like a thick layer of cream that you have forgot to blend in which I love. It doesn't feel greasy or heavy on the skin which I have found with some face masks as well. I tend to use this mask twice a week and I find that my skin is just in immaculate condition afterwards. I have quite dry skin which is the main reason I purchased this mask as I was intrigued to see if it would really nourish my skin and I definitely haven't been disappointed. All the dry patches I used to have around on my skin, particularly on my cheeks and around my nose, have disappeared and it's just become a lot easier to apply my make up to those areas. I find my skin looks a lot more healthy and in really nice condition. It also leaves my skin with a glow that lasts for a long time which for me is an absolute bonus as I love having glowy skin. Overall this face mask definitely gets a 10 out of 10 for me. This face mask claims to be for all skin types but if you are like me and have quite dry skin or even patches of dry skin I'd highly recommend picking this up as I think it will do wonders for your skin however whatever your skin type, this mask will just be ideal for you. 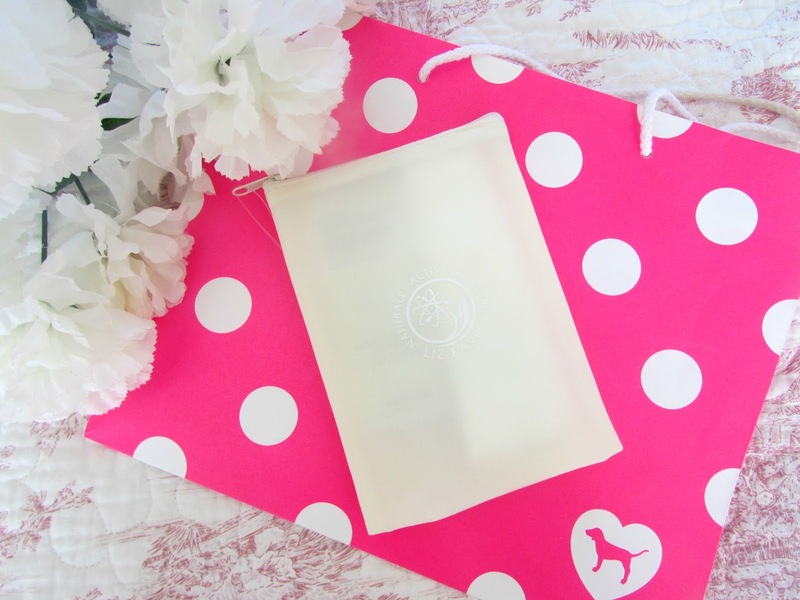 It's just an incredible product and I will definitely be repurchasing it in the future. Click HERE where you will be able to purchase the starter kit which is photographed in this post for £16 or you can just purchase the 50ml mask for £15. If you just want to try a sample size then you will be able to purchase that along with the muslin cloth for just £6.00 which I find pretty good. If you're looking for a decent face mask at the moment or new ones to try then Liz Earle's Intensive Nourishing Treatment Mask is for you! 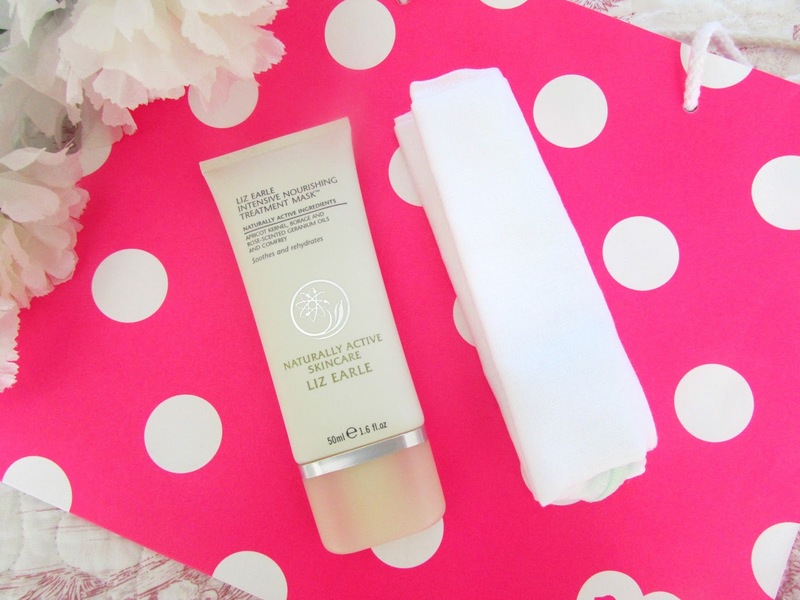 Have you tried any Liz Earle face masks before? What is your all time favourite face mask? PS: Just a little reminder that today is the final day to enter my giveaway to win a Naked 3 Palette and a Birthstone Pandora Ring. Click HERE for details on how to enter and Good Luck to you all! 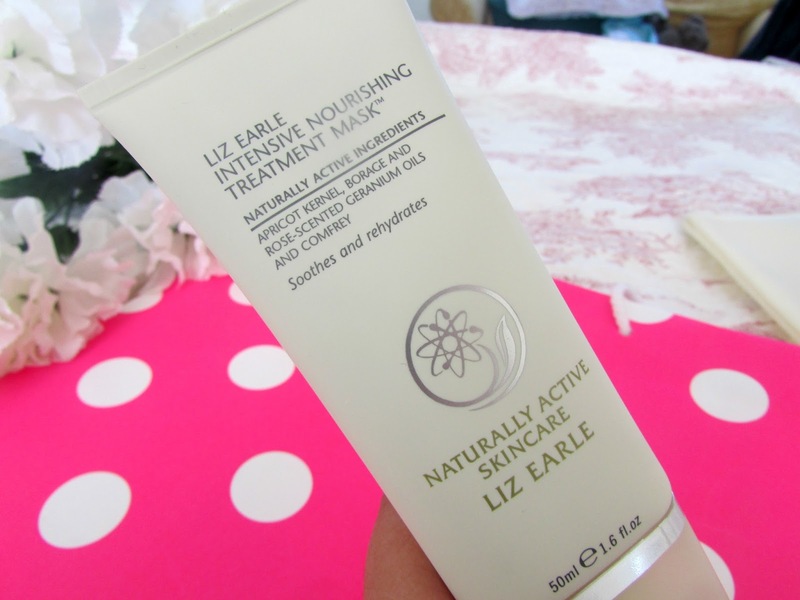 I still am yet to try any skincare from Liz Earle but I keep hearing good things about this! Travel Wishlist | Where Would I Love To Visit?